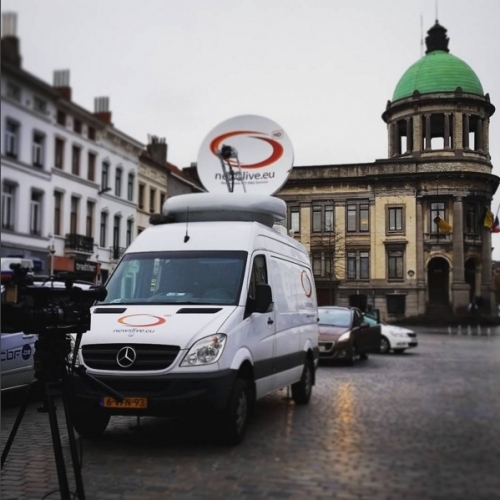 Brussels satellite truck - Newslive. 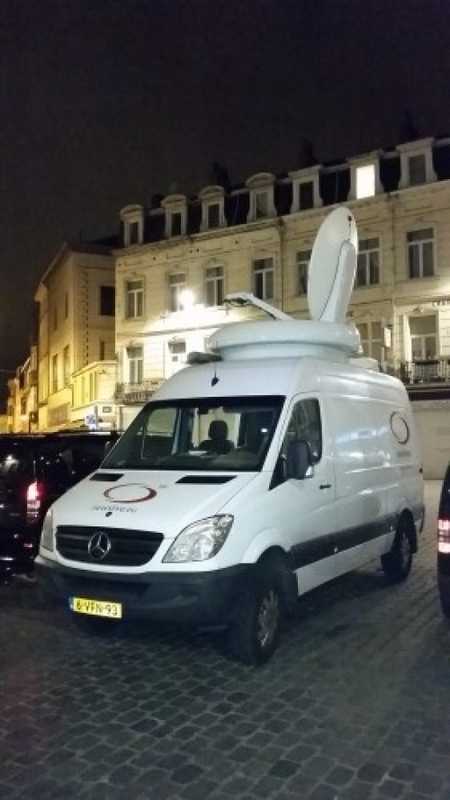 Satellite truck in Molenbeek Main Square doing uplinks for American TV. 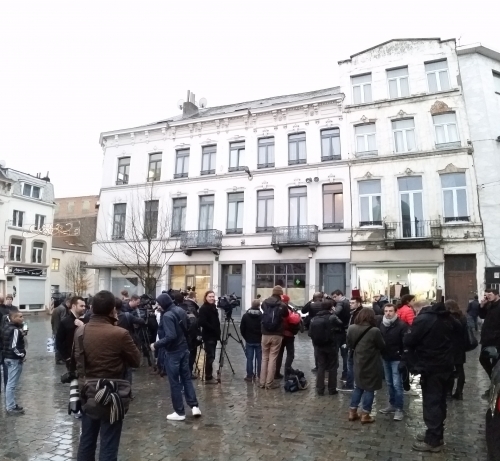 Brother of the suspect giving his statement to the press.